Coughing is a normal reflex that protects your lungs and windpipe – it is supposed to get rid of irritants like mucus, dust you inhaled or food that went the wrong way. Coughs are commonly triggered by colds and flu, and that is the type of cough we are looking at today. Everyone knows getting a bad cough can be tiring and unpleasant. You can’t sleep well since the cough actually wakes you up, and after a while your ribs and even your stomach muscles start to hurt from coughing nonstop. Indeed, coughs send more people to the doctor than any other symptom according to WebMD. People spend billions on cough medicine but studies have not shown them to be effective against coughs. I’ve had mixed results with cough medicines myself, and when I find one that does work, I dislike the side effects – I either feel very drowsy or hyper because of the high sugar content. So what are the alternatives? 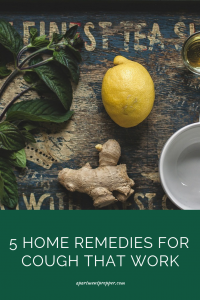 I am not a doctor or medical professional but I have tried a few home remedies that seem to work for me. A research paper actually shows that honey works better than dextromethorphan (DM) a common ingredient in cough medicine. Lemon provides an extra boost of vitamin C which is good for recovery. Squeeze a lemon into a cup of warm water. Add a teaspoon of honey. Sip slowly. I’ve already found that apply cider vinegar has helped me prevent a cold. Recently, I also found that two teaspoons of apple cider vinegar in water also helps to calm a persistent cough. I gave the mixture to my son the last time he had a cough and it worked for him. My mom used to make me ginger tea every time I had a sore throat or cough. I did not really like it at the time but I have grown to appreciate ginger tea as a good home remedy. Ginger has been used for thousands of years to treat various other ailments such as nausea, motion sickness, upset stomach in addition to coughs and colds. Peel and slice a ginger root into small slivers. Add one tablespoon of ginger to a cup of boiling water. Allow it to steep for five minutes. Strain. Add a teaspoon of sugar or honey for taste. Peppermint is a versatile herb that is also used to relieve various ailments from an upset stomach, headaches in addition to coughs. We already know that cough lozenges relieve coughs. Reach for a piece of peppermint candy to help relieve a persistent cough. If you are diabetic or are trying to avoid sugar, eating peppermint candy may not be the way to go. Instead, brew some peppermint tea. Just take a handful of leaves and rinse them to clean off any dirt. Add the leaves to a cup of boiling water and allow to steep for five minutes. Strain the liquid to remove the leaves. You can drink it as is, or add a teaspoon or sugar or honey. Professor Alyn Morice, of Hull University, who is a cough expert, found that her research shows that cocoa works best for soothing a cough. However, sipping hot coco does not work the same way, it has to be actual chocolate. If you are trying to cut down on sugar, or are diabetic, you may need to choose chocolate that has low sugar or sugar free. Knowing these home remedies for cough can help you feel relief until your body recovers on its own. 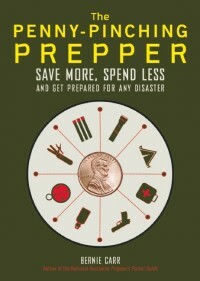 However, as with any remedy or even over the counter medications, you need to monitor yourself closely. If your symptoms continue to get worse, or if you are not feeling any better after a week, you need to go see a doctor. 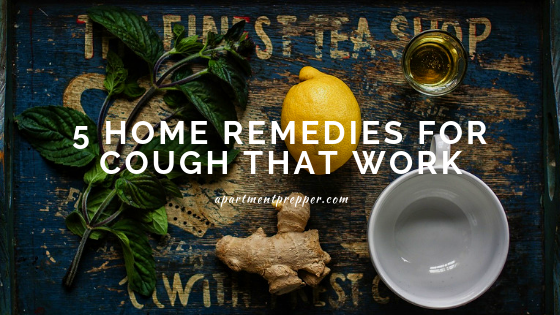 What home remedies work for you? Please share in the comments – we want to hear about it!